It’s that time of year when we gather family and friends around the table to celebrate fall. 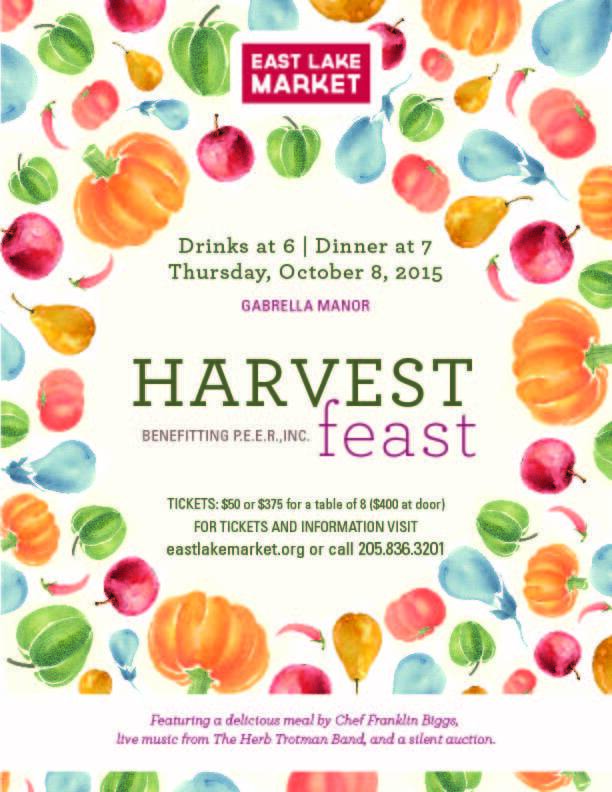 Join us for our Harvest Feast at Gabrella Manor Thursday evening, October 8th at 6 pm. 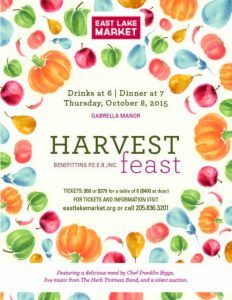 We’ll have live music from The Herb Trotman Band, silent auction, and an amazing meal prepared by our friend Chef Franklin Biggs.